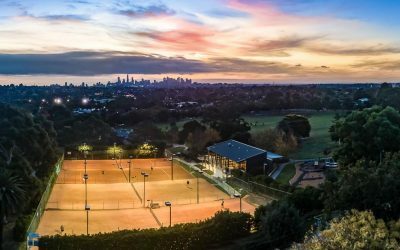 Notice is given of the South Hawthorn Tennis Club AGM on Wednesday 29th November at 8pm. For details and proxy form see the Newsletter section of the website. The club has installed an outdoor heater in the BBQ area. The switch for the heater is on a timer which lasts for 1 hour. To extend the time just press the switch again after the hour is up. The club Mourns the passing of Nancye Trigellis Smith.Nancye played at South Hawthorn for over 50 years and loved tennis and our club. Nancye features in our Club History pages.